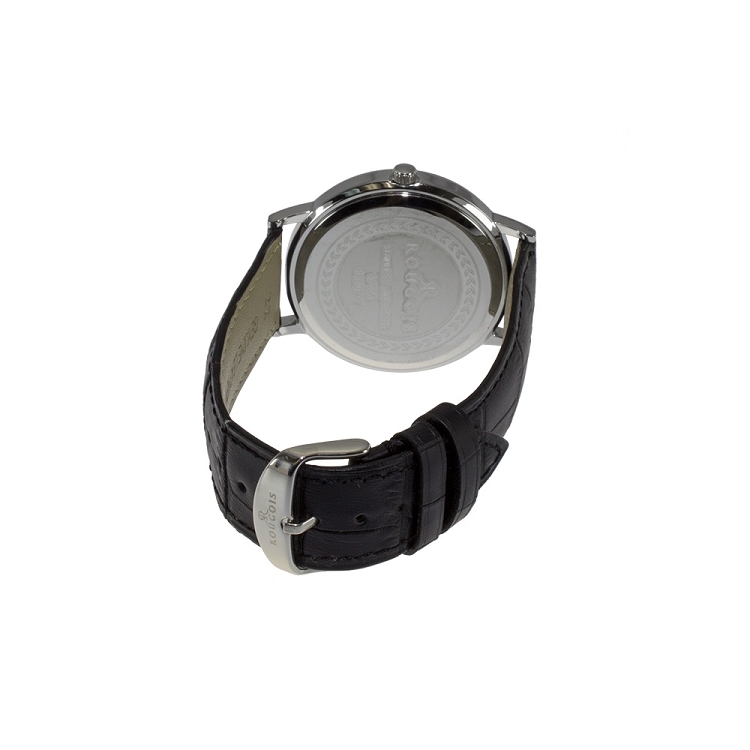 This bold black leather wristband is only part of what makes this watch memorable. 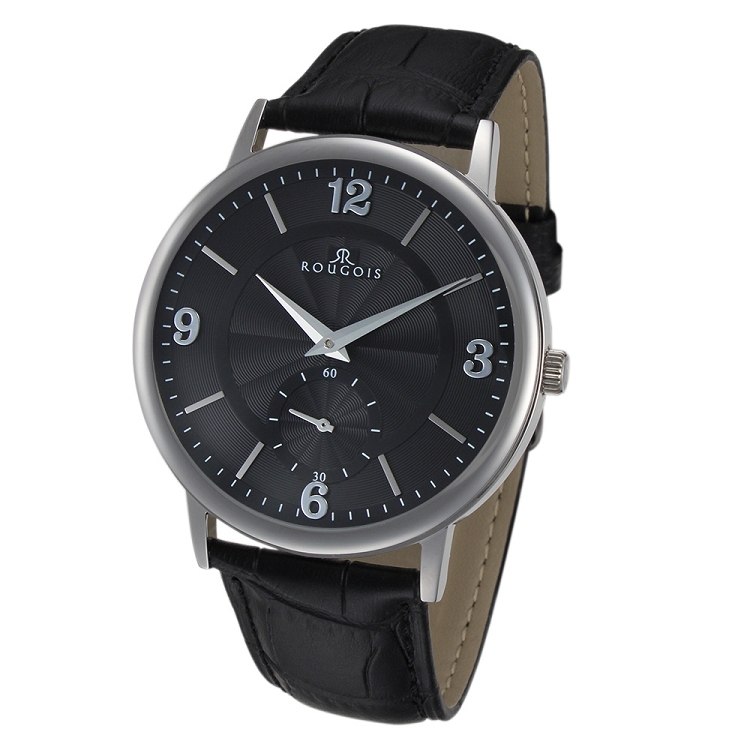 A black textured face is surrounded by accents of silver tone. The bold numbers and dashes representing hours are silver-tone with traditional font, while the minute and second dashes are highlighted in white. 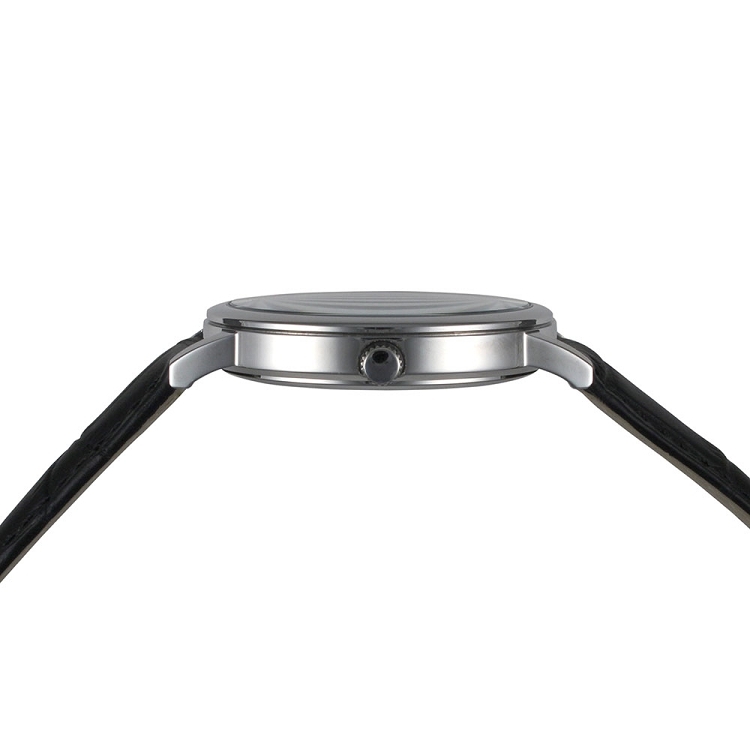 All sections of this watch face are heightened by the brushed metal circles against the black background dial. 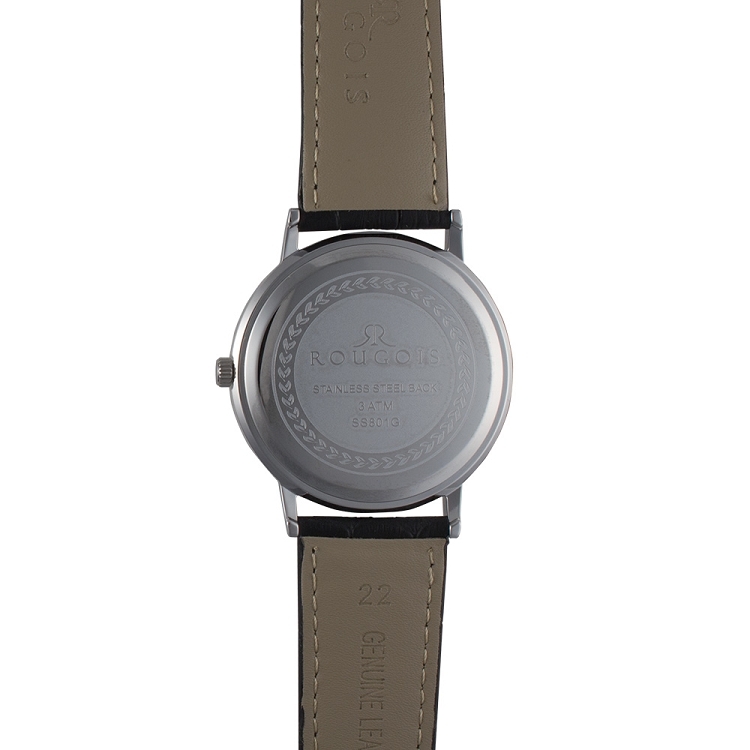 With such fine detail, this watch is chic and sophisticated.